Recently, Newport’s Library Arts Center opened up their Juried Regional Exhibit where they showed off work from 49 area artists, chosen from over 120 entries. The judges this year were Jane Oneail who is the executive director of the League of NH Craftsmen and Pamela Tarbell, who is the owner and director of Mill Brook Gallery and Sculpture Garden. We caught up with Andrew Williams, an artist from Unity, and Laura Morrison, an artist from Concord. 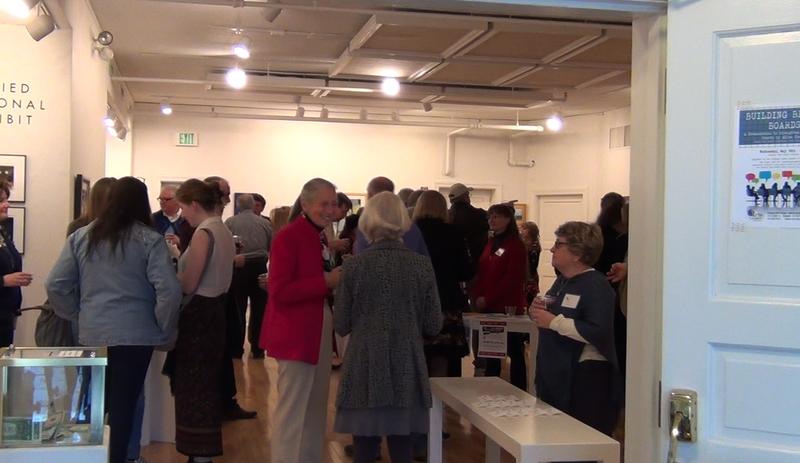 Guests were treated to appetizers, drinks, and music, all provided by the Library Arts Center. The exhibit is ongoing, is free, and is open to the public until June 16th.